I love going back home for a lot of the obvious reasons, but also because, as an avid reader, it gives me a chance to stock up on books in Spanish. Now that I’m a mami, I’ve added children’s books to my list. The selection tends to be much more varied than back in the States–especially now that we live in Colorado! I know there’s always the option of getting books online, but there’s nothing better–for me, at least–than to spend time browsing a bookstore, just picking up whatever looks interesting. I should clarify that by “home” I usually mean Perú because even though I left many years ago, I still feel like that’s the one place that will always pull me more than any other. Having said that, and because my extended family and mis suegros y cuñada live in other Latin American countries, my search for books in Spanish is not limited to Perú. I have the fortune to visit Puerto Rico at least once a year and Mexico every two years. It was actually during our last trip to La Isla del Encanto this past Christmas where I found the most wonderful collection of children’s books which I immediately purchased for my daughter, Vanessa (and for myself, too!). 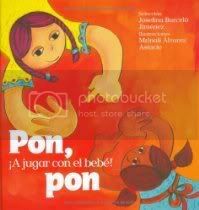 The series is called “Colección 9 Pececitos” and it includes five books full of colorful illustrations with titles such as Grano a grano…Refranes populares, Pon, pon: A jugar con el bebé! and ¡Vamos a Jugar! All the books are supposed to be suitable for kids in their preschool years all the way to tweens. And, although my daughter might still be too young for some of them, she will eventually be able to understand and appreciate them. So, it was totally worth the buy! 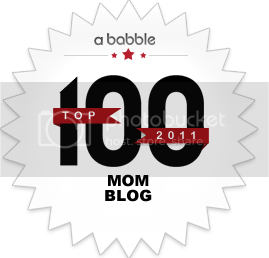 –Sounds like the simplest song in the world, but babies actually love the repetitiveness! My daughter’s face lit up when I opened up the book and I started singing this last song for her. She had been to Puerto Rico before and had heard her cousins, grandparents and aunts sing it to her, so it was a moment of remembrance and recognition. We hadn’t sung it in a while, maybe because she’s a little older now, but the fact that her vocabulary grows exponentially every single day, allowed her to sing along which made the whole experience even more enjoyable. All of these songs and finger plays are part of our cultural heritage. 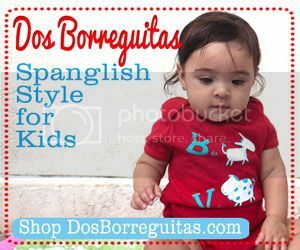 Raising bilingual children is more than just teaching them Spanish. It’s about our music, our foods, our traditions and our holidays. 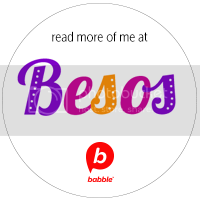 This post originally appeared in a different form and under a different title over at Latin Baby Book Club. What are some songs and finger plays that you are teaching your children? I think it would be helpful if you taped yourself and your daughter singing these and put the videos up for those of us who are rythmically challenged. do these books come with a cd? ?